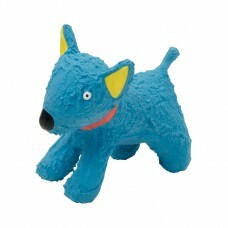 Our Li'l Pals® 4" Latex Blue Dog Toy is pint-sized to fit perfectly in your petite dog or puppy's mouth. Durable construction and an enticing squeaker provides hours of fun and exercise. Li'l Pals® Latex Dog Toys are non-toxic and feature durable construction and an enticing squeaker that provide hours of fun and exercise. Designed with comfort and style in mind, the Li'l Pals® line by Coastal Pet Products is specifically made for petite pets.